Friday, Oct. 26, 2018, 7:45 a.m. – 4:45 p.m. 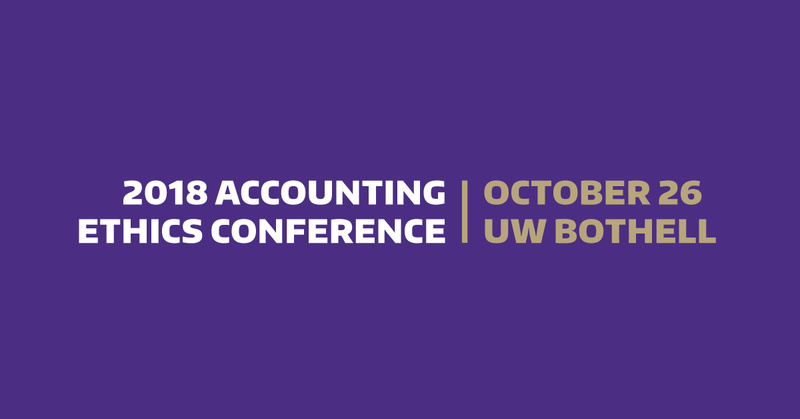 The sixth Accounting Ethics Conference will be held on Friday, October 26, 2018 at the University of Washington Bothell. This conference provides CPAs with 4 hours of WBOA approved Ethics CPE credits and 4 hours of Technical CPE credits (8 hours total). Free admission for UW Bothell MS Accounting students. Discounts available to UW Bothell alumni, faculty members at area schools and groups of six or more.